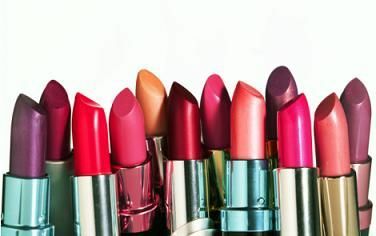 Last week, I went to a women’s group meeting, where the term Lipstick Money came up repeatedly. By women who described the various part-time and substitute jobs they have held while enabling their husbands’ careers, moving across the US, moving across the world. Here is my calculation: personal assistants and nannies get paid 20 – 30$ per hour. Let’s assume the women only worked a 40 hr work week in their PA/ nanny jobs aka being a stay at home mom, their annual wages are 40 – 60K. If their husbands would have hired someone for this job, this would have been paid out of after tax income so the real earnings for stay at home moms are close to 100K pear year. This group had been reading Lean In by Sheryl Sandberg which is a very empowering book for women who are in the workforce and love to learn how to be more successful. But for women who chose to stay at home, leave the workforce for a while, the book makes them feel like they have achieved nothing, if they worked it was for lipstick money. Sandberg points out one of the key pitfalls young mothers get trapped in: at the time their children are young, the investment in their career can be a negative return. See above, 100K earnings spent on a nanny, and sometimes 40 hrs won’t cut it because your job requires you to travel. That explains why women with post-graduate degrees – who easily earn 6 digits income – drop out of the workforce the fastest: 50% after 15 years from graduation. Sandberg argues that you should look at the investment over the life time of your career. What she forgets to mention are the women who truly love to stay home with their young children. At another meeting last week, this time with a high-powered delegation of US women business leaders, I repeatedly heard the speakers say: “Whatever you are facing at the office is never as scary as raising two teenagers.” Thank you for sharing the truth! They also meant, as women in the workforce, remember how strong you are at home, how good you are at keeping the Big Picture in mind, juggling emotional and real upset while on a tight time budget. So take that skill to work with you. Then, turn these personal statements into real life job descriptions, you will be surprised to see who you are in a professional sense. To learn more about how to go from stay-at-home to having a fabulous career, please connect with me.